This list of the very best books about airplanes are sure to please your readers that love to fly or search for planes in the sky! With a variety of books, you can discover what the flying and airport experience is like, you can learn about pilots in history, and you can enjoy amazing airplane adventures. Love this book! I love the illustrations, they are beautiful. This book does a great job of telling Amelia Earhart's story and highlighting important things she accomplished. I love a book with a great female lead! :) I particularly loved that the ending didn't go into the details of her going missing, but still accurately said didn't return. A powerful story about a girl who likes to build things. Ever since she's been little, she's been tinkering with household electronics and gadgets; fixing them and learning how they work. Soon she begins building airplanes and learning to fly. Her unusual hobbies, though, make her quite unpopular with the kids at school. This interactive book takes you on an airplane adventure to heal the earth! By pressing buttons and tilting the book, you get to help make the changes. This book is all about being environmentally friendly to help our earth, and it has the most beautiful illustrations! The clever wordplay with animals (Ottermobiles, Bearplanes, etc.) is a little lost on my toddler, but I LOVE it, and we both love the plethora and variety of animals, silly animal vehicles and the rhyming! In the cockpit Captain Bright Makes sure everything works right. Wing flaps open. Wing flaps close. Lights shine bright on tail and nose. Susanna Leonard Hill's rhythmic text and Ana Martin Larranaga's simple but enticing art will take young readers on an exciting airplane ride! Kids can lift the10 flaps throughout the book to make their flying and reading experience more fun! Fasten your seatbelt and fly above the sky with this interactive book that's shaped like an airplane. This format is perfect for young children who are going on a plane for the first to one-hundredth time! Buckle up to learn all about flying! Amazing Airplanes follows the animal crew, as they become pilots, baggage handlers, and air stewards. Each page is filled with details that machine-mad kids love, such as the cockpit, landing gear, and much more. This book now in chunky board book format is perfect for budding pilots or happy vacationers! From airplanes to fire engines, the internationally bestselling Amazing Machines series is the perfect way for children to learn about all sorts of vehicles! Each book introduces a new vehicle and the jobs it can do. Bright, engaging artwork and simple, rhyming text combine to make these fantastic books for young children. Kids will love getting to know the friendly, animal characters who feature throughout the series and reading about their fast-paced adventures! The helicopter goes, "PITTATATATA PITTATATATA PITTATATATA." The jumbo jet goes, "Wheeeeeeeee VRRRRRRRRRRUUUHHHHHHHHHMMM." The propeller plane goes, "HUK HUK HUK WHIRRRRRRR WHIRRRRRR." Prepare for liftoff with 8 exciting aircraft and the noises they make in this irresistible board book! The long, oversized format lends itself to the shape of the vehicles and stands out on the shelf, and the boisterous text begs to be read aloud. Maisy flies her plane to a special party and passes hot air balloons and clouds along the way. This book is all about the airport, where it is, what you do there, what an airplane ride is like, etc. This would be a great one to read for children who are about to go on an airplane as it would introduce them to everything that will happen and let them know what to expect. Follow a family and the youngest member's favorite sock monkey through all the inner and outer workings of an airport. In a book that is as intriguing as it is useful and entertaining, we follow a family on its way through the complexities of a modern-day airport. From checking bags and watching them disappear on the mysterious conveyor belt, to security clearance and a seemingly endless wait at the gate to finally being airborne. But wait! There's more! The youngest family member's sock monkey has gone missing. Follow it at the bottom of the page as it makes a journey as memorable as that of the humans above. Illustrations and easy-to-read rhyming text celebrate different kinds of planes, their instruments, what they carry, and what it is like to go for a flight. From the excitement of arrival to the wonder of taking off -- a picture book that captures in joyous and powerful images all the magic of an airport. Pilot Small flies his airplane over the countryside, does a loopy-loop, makes an emergency landing, and finally returns safely to the hangar. A popular subject from a star author, adapted and designed for a board book audience From the first attempts at flight through blimps to commercial Jets, flying fascinates young children. GAIL GIBBONS'S signature text and art are specifically adapted to board book format for the youngest listeners. Headed for Canada to visit his father for the first time since his parents' divorce, thirteen-year-old Brian is the sole survivor of a plane crash, with only the clothes he has on and a hatchet to help him live in the wilderness. A Newbery Honor Book. Reprint. What can you see when you go on an airplane journey? 1 airplane, 2 luggage carts, 3 check-in counters, and so much more! Counting meets aviation in this modern, graphically distinctive book—now available in a portable board-book format perfect for throwing in the carry-on. Equally suitable for the transportation-obsessed as well as any child learning to count, this fresh and dynamic book will entertain and educate at home and on the go. Push-Pull-Turn! Up in the Air! Up, up, and away! Get ready for takeoff! Up in the Air takes kids up in the air as they are introduced to a variety of flying vehicles. 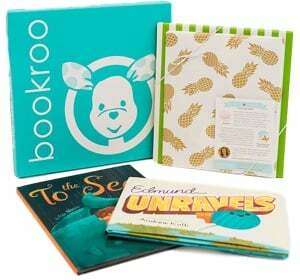 Each page features a different interactive element such as spinners, flaps, and tabs. While reading the rhyming story, kids can use the interactive elements to bring the story to life. Whether it's a jet, helicopter, or hot-air balloon, Up in the Air is the perfect introduction to flying vehicles for youngsters. Illustrations and easy-to-read text follow an airplane as it says good-bye to the ground and hello to the sky, where it flies over a town, mountains, clouds, and people. Profiles Brazilian aviator Alberto Santos-Dumont, who made great strides in the invention of flight.